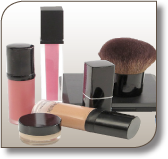 These are products suggested for your application. Printcolor 660 is a two component multi purpose ink for printing synthetic and natural textiles and fabrics. Upgrade to Printcolor high performance Series 660 if you are using Sericol Nylobag NB or Nylotex NX, Marabu Maraflor TK, or Proell Noripol. Printcolor 660 is a highly opaque, two component multi purpose screen or pad printing printing ink for synthetic fabrics, natural textiles and soft surfaces. The high quality of raw materials used in the formulation of 660 makes it suitable where extreme mechanical, UV or chemical resistance is needed. It is based on different polyester and acrylic-resins that give it the stable gloss finish essential for outdoor applications. A highly opaque screen printing ink for industrial and graphic applications on a wide range of synthetics like polyamide (eg nylon), polyester materials (eg trevira), and blended fabrics with both synthetic and natural components, mostly cotton. Series 660 is suited to most common fabric articles (bags, ties, umbrellas, etc. ), textiles (shirts, overalls, sportswear), sun blinds, flags, pennants and sails. Printcolor 660 can also be effective on difficult materials such as synthetic rubbers, soft PVC and different urethanes and the manufacturing of fabric labels in the thermo transfer process. Refer to the Technical Information and Series 660 MSDS documents for more details. 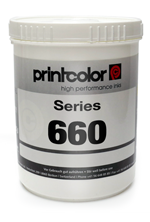 Printcolor 660 is a versatile screen ink but it also performs well in pad printing applications. Although textile products like umbrellas and tote bags are usually screen printed for maximum print size, 660 is excellent for pad printing small image applications on textiles such as; tagless T-shirt branding, nylon pencil cases and compendiums and linen serviettes. It also produces excellent results on difficult materials such as synthetic rubbers, soft PVC and urethane coatings making it perfect for pad printing leather products (real and synthetic), stress toys and soft touch coatings often used on cosmetics, pens and wine accessories. Printcolor 660 is a little slower than most pad printing inks. Its relatively easy to use but you sometimes have to run a little slower to achieve transfer when printing areas of solid ink or multi-colour images. We use it on compendiums a lot because it sticks to both real leather and synthetics so you don’t have to guess what the substrate is. An excellent ink for branding tagless T-shirts. Transfers the image well down to the finest detail and drys quickly enough that set-off is not an issue when stacking printed tees. It produces a flexible, highly durable print that’ll stand up to many washes. 660 regularly surprises us by sticking to rubbery, slick coatings that look and feel unprintable. It’s a finish that is increasing used on designer consumer items which we are presented with more and more, so we keep a couple of 660 colours in the print room as back-up. Why Use Printcolor Pad Printing Inks? Well let me give you my take on the why, and you can make your own conclusion. We talk to a lot of printers about the getting right ink for their pad printing projects. And with good reason… The ink you use makes a world of difference to your work. With the right ink you can produce more, with greater consistency and quality, in less time and for less money. Working too hard? Change ink… and change your business! Clearly, with so much at stake, you want to choose wisely and the first thing you should know is that ink brands ARE different. We often talk to people who are doing a tremendous amount of unnecessary and time-consuming work, not realising that their ink was making their whole production process problematic. They just thought that sometimes pad printing could be… well… difficult. Once we matched their project or application with the right ink for the job, efficiency (and profits!) went up immediately. And stress levels fell. Leading Swiss ink manufacturer Printcolor, has developed a wide range of high performance pad printing inks formulated to perform well in the press, be easy to use, ecologically friendly, and versatile in high demand production environments. What we’re sharing comes from YEARS of hands-on experience. Real, measurable value for money. If you’ve been pad printing for a while, you may already suspect that using a cheap ink can actually costs you more. The time you lose struggling with colour accuracy, rubbing of ink that just hasn’t stuck when it should, and messing around with different thinners and additives to get the print to transfer off the pad every time… it all eats away at your profit, and And over time, it hurts. None of that happens with a high quality ink formulated specifically for pad printing, and that is why we recommend Printcolor. We have clients who’s profitability increased dramatically when they made the change to Printcolor… literally, by thousands of dollars per year. The reason? With Printcolor, you eliminate problems of adhesion and poor colour coverage that leads to job rejection, you increase printroom efficiency because you’re not endlessly fiddling with the ink – you will just get more profitable work done, and you’ll use less ink and time to do it. Higher opacity than any other ink on the market gives you solid colour accuracy. Recommend they don’t do it because you know the yellow won’t cover well enough to give the bright yellow print that’s expected — which just makes you look like you haven’t the expertise to do the job. Do it anyway and hope the customer doesn’t reject it — which can damage your relationship. Waste time putting down a white first or double or triple hitting the part — which turns it into a multi-colour print job, when you can only competitively quote for a straight forward one colour print. We found years ago that Printcolor ink puts an end to all that. 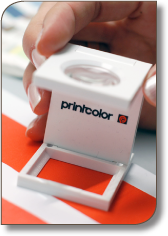 Printcolor inks are pigment rich, giving them amazingly high opacity and excellent coverage. That means you get beautifully accurate, solid, pleasing colour, every time. And, because Printcolor use the best quality pigments, their Mixing System requires only 13 colours to mix ANY PMS, HKS or RAL shade – not the 16 plus colours you need to keep on hand when using other ink brands. Your customers will appreciate the quality work you produce, and the price you can do it for, and that helps you ‘bullet proof’ your relationship against competitors, ensuring a more stable, secure business. Easy to use. Easy to Change. Seriously. Many pad printers are reluctant to change ink brands. They think it may be difficult or costly. Maybe it’s better the devil you know… It is actually the opposite. Changing to Printcolor won’t cost you money, and it’s easy – amazingly so. You’ll wonder why you didn’t change sooner! For starters, you wont have to waste what’s left of your old ink brand. After all you’ve paid money for that! In most cases you can use up what is left of your old ink with your new Printcolor mixing system. Although, once you experience how easy Printcolor is to use, you may just end up putting that old brand in the bin anyway… we did! We often hear back from delighted customers who have struggled with a job or application in the past, who tell us “ I mixed it up the way you said, put it in the press, and it just worked!” Well frankly, that’s the way it OUGHT to be! Australian occupational health and safety regulations for exposure to chemicals and heavy metals are often set at minimum world standards. But, as with everything else Printcolor do, they don’t aim for the minimum on health and safety. 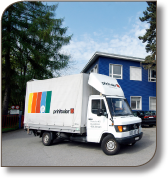 Printcolor are deeply committed to workplace safety and the environment. Their inks are BVQI (ISO 9001) certified to be free of heavy metals, chlorinated and brominated organic compounds, organic tin, asbestos and formaldehyd. Under stringent European standards these inks are acceptable for printing toys, and many have Certificate IV clearance for use in pharmaceutical and surgical applications. Safe inks are good for the people in your printroom, they give your clients confidence in the safety of their printed products, and have less impact on our environment. One of the many things we like about Printcolor is that they don’t try and kid you with generic formulations. 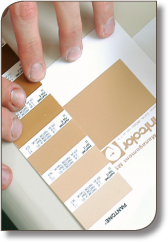 Unlike budget brands, Printcolor pad printing inks are NOT screen inks that have been re-labelled. For Printcolor ‘pad printing’ ink means just that, an ink specifically formulated for pad printing applications containing richer pigments, flow agents, antistatic elements and additives to promote print transfer and adhesion. Printcolor make a excellent range of universal pad printing inks that you will use for most of your day to day printing, and they also make highly specialised pad printing products too. These include one component inks for printing untreated polypropylene, jet drying inks for high speed closure printing, highly flexible inks for rubberised surfaces, UV inhibitors for outdoor applications, anti-abrasion paste for touch panel printing – to name but a few. Printcolor make the RIGHT ink for the job. It shows every time you use it. Talk to us TODAY about the right ink for your application. 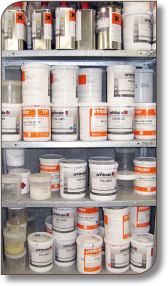 The team here at Colour Components have years of experience, and are experts when it comes to ink and its application. We are keen to help you with advice and solutions, so you can get more done, at a higher quality AND for more profit! 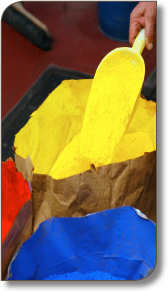 Printcolor 382 is a one component screen printing ink for PVCs and plastics. Series 382 was developed specifically for printing on PVC substrates used in the plastic laminating (eg. credit cards) and welding manufacturing processes. It is also suitable for a wide range of substrates such as rigid and flexible PVC, PVC adhesion foils, coated polyester, papers and coated surfaces. Formulated as a single component ink, Series 382 can be used with Printcolor hardeners HDA or HDR where greater mechanical, chemical or UV resistance is required. 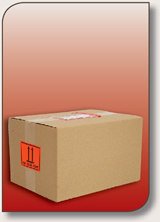 Refer to the Technical Information and Series 382 MSDS documents for more details. What’s a screen ink doing in the Pad Printing section? As it turns out, 382 is an excellent fast drying ink for printing stress toys. It runs well in a pad printer and is easy to work with, giving good ink coverage and colour even on dark substrates. It’s ideal for customising ID and loyalty cards and produces a very durable print on many of the budget-price pen lines. Hardener: 382 is a one component ink – can add 10:1 HDa hardener to increase mechanical/chemical/UV resistances. Hardener will reduce pot life. 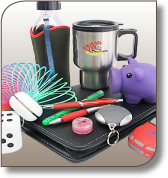 We use Printcolor 382 for printing stress toys because it’s fuss free – no pretreatment, no hardener and easy to use. It gives excellent adhesion and is fast drying so you can pretty much print and pack immediately. Printcolor 382 has a very thick, elastic-like consistency straight out of the can and will take a little more thinning than other inks to make it doctor correctly for pad printing. Mix through small amounts of thinner at a time, it will reach print consistency reasonably quickly but will go watery if you over do it. It runs well with your standard medium pad printing thinner (700-017) and transfers easily off the pad. A pretty straight forward to use but like all fast inks, it can develop static around the print if you run it too thick or have a deep plate. Its a single component ink which is convenient as it gives you unlimited pot life and you can return the ink to it’s can at the end of the job.